White Fields Community Church will be hosting Church in the Park on August 17th in Longmont’s Roosevelt Park (700 Longs Peak Avenue). This outdoor service will be held under the shade of the trees in the South-East corner of the park, right in front of the St Vrain Memorial building. We will be joined by guest Pastor Pete Nelson, who will be sharing the Word with us. Hope you will join us! Halloween is a conundrum for many Christians. Is it only a weird fashion show for candy, or is it something more sinister? Should Christians allow their kids to dress up in innocent costumes and go knock on their neighbors doors begging for sweets, or should we forsake participation in this whole thing altogether? This week I read this post about Halloween by a Christian woman, which I found very insightful. She points out one very important thing: This is the only day of the year, when most of your neighbors are going to come knocking on your door. The only day. So, what are you going to do? Are you going to go to a church event far away from your neighbors? Will you turn off the lights and refuse to answer the door? OR, are you going to use this unique opportunity to reach out to your neighbors? Being missional means being intentional about being incarnational. If you look in the Bible, at the nation of Israel, you find that they constantly fell in one of two ditches: On the one hand they had a tendency to conform to the nations around them: to take on their ungodly customs, and to worship their gods. They were called to be set-apart and different, but they oftentimes just wanted to be like everyone around them, and it got them in trouble. On the other hand, the other ditch they fell in was – like the Pharisees in the time of Jesus – they viewed themselves as superior to those around them and avoided contact with people who were not like them, lest they be defiled by them. We as Christians need to avoid these two ditches as well, and make sure that we remember our calling to bring God’s light to all the nations, including those who live on our block and on our street. So many people are eager to do mission work somewhere else! But let us not neglect the neighborhoods that God has placed us in. I’m not asking you to celebrate Halloween. I’m not asking you to compromise anything. I’m only asking you to consider how you can use this opportunity to be missional and incarnational, to build relationships through which you can share the love of God and the Gospel. 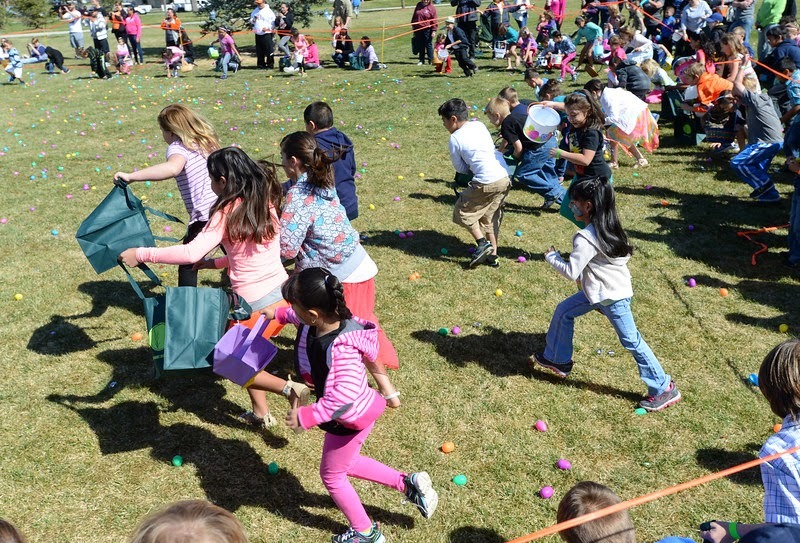 Every year at Easter, White Fields church puts on an Easter egg hunt outreach in the Roosevelt Park in Longmont. 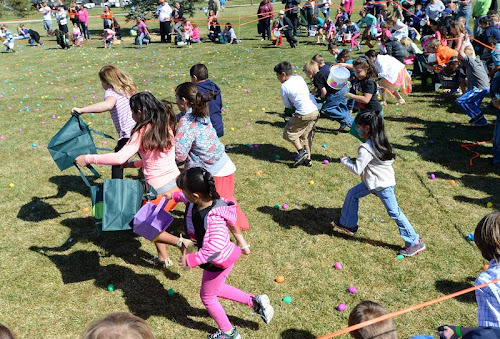 We’re not condoning Easter traditions that take attention away from the resurrection of Jesus – what we are trying to do is meet people where they are at, so that we can have the chance to speak to them about Jesus. That’s a very important difference, both at Easter and this week at Halloween. One thing I will be doing is passing out White Fields stickers. Kids love stickers – and these ones have our church’s website on them. Another thing I will be doing is trying to get to know my neighbors. We might put our fire pit out front to give people a place to get warm. We might provide coffee for parents. We’re still thinking through it – but here’s the point: we want to reach out. If Jesus can go straight to hell, stare death and devil in the face, win and come back alive, why can’t we open our doors to the 6 year old in a Batman costume and his shivering mom? What do you think? What’s the best way for Christians to respond to Halloween?